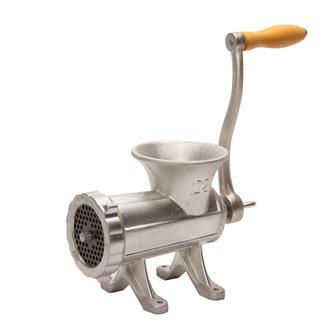 Manual cast iron Reber meat grinders. 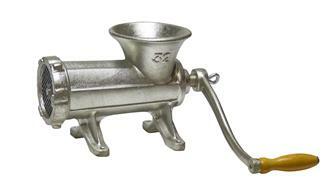 Manual Reber meat grinder type 8. 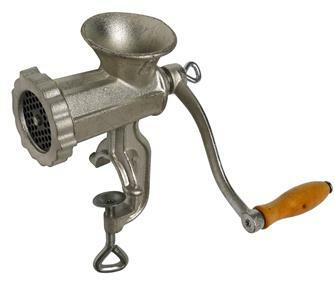 Reber type 22 manual meat grinder. 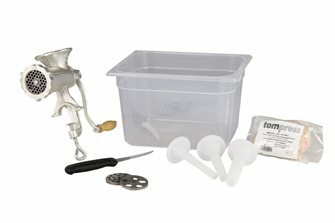 Full starter kit for making charcuterie meats. 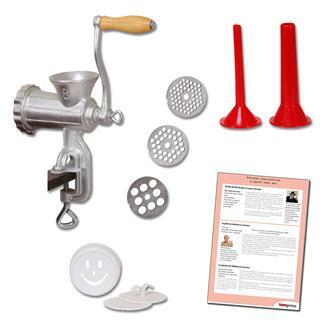 Manual n°8 grinder with 3 plates, funnels for casing sausages, a steak press and 6 authentic and easy to make Tom Press recipes.